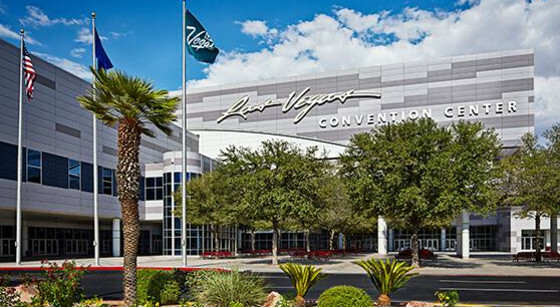 The Las Vegas Convention Center (LVCC), located adjacent to the Las Vegas Strip, encompasses approximately 3.2 million square feet with exhibit space of 2 million square feet and meeting space of nearly 250,000 square feet. The facility is one of the busiest centers in the world - centrally located within three miles of over 100,000 guest rooms. Operated by the Las Vegas Convention and Visitors Authority (LVCVA), the center is well known for its versatility, size, and amenities. In addition to exhibit and convention space, 144 meeting rooms handle seating capacities ranging from 20 to 2,500. A grand lobby and registration area efficiently link existing exhibit halls with new exhibit and meeting rooms, and allow simultaneous set-up, break-down and exhibiting of multiple events. In 2012, the Las Vegas Convention Center received AIPC Gold Certification from the International Association of Convention Centers. The AIPC reviewed the organization&apos;s management practices, policies, procedures and customer service. In addition, they rated facility performance measures, financial accountability, economic impacts, security, emergency response, financial integrity; employee, supplier and community relations, communications and environmental responsibility.